Hiking vacations offer varied adventures, from logistical and weather problems to physical complaints and energy lulls. But all allow for personal reflection and growth. 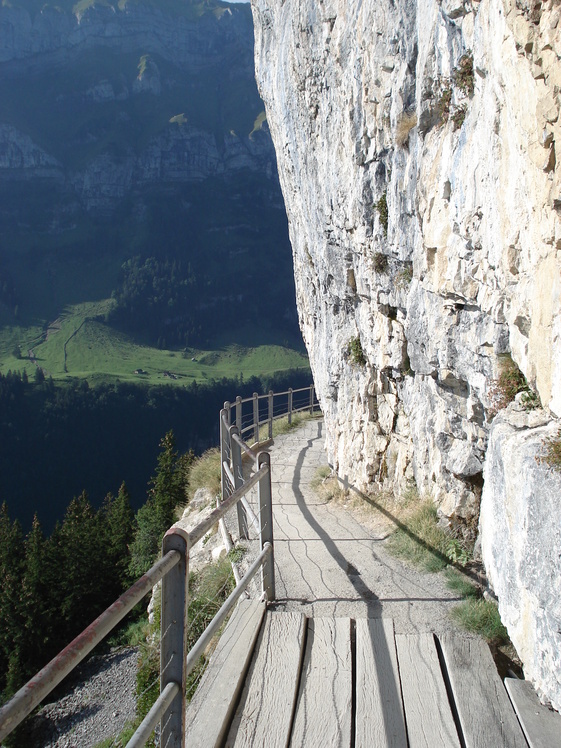 Our hiking trip in Switzerland was one that changed us. 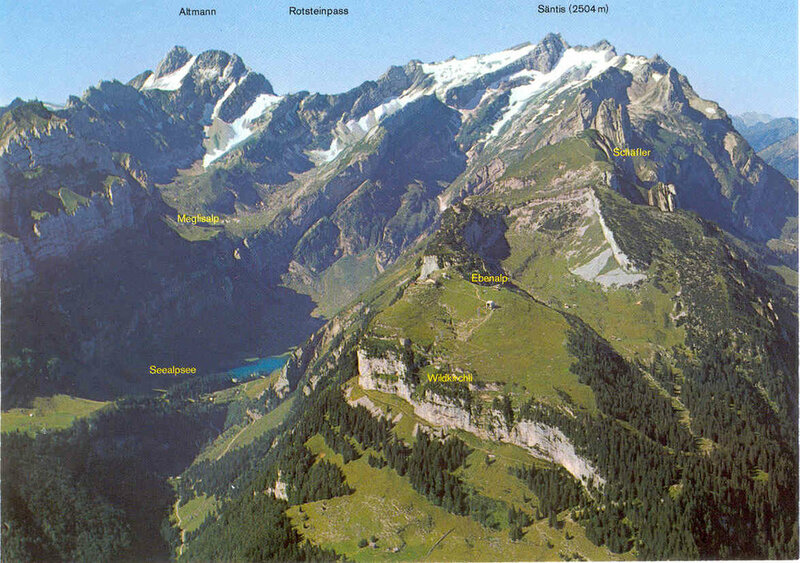 One day we chose a scenic trail to Ebenalp peak out from Appenzell in northeast Switzerland. 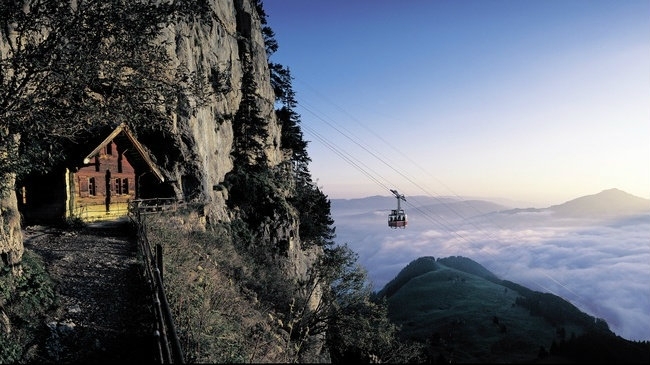 The cable car took us from the valley floor to the base of the peak with panoramic views of forests, pastures, and farm lands. 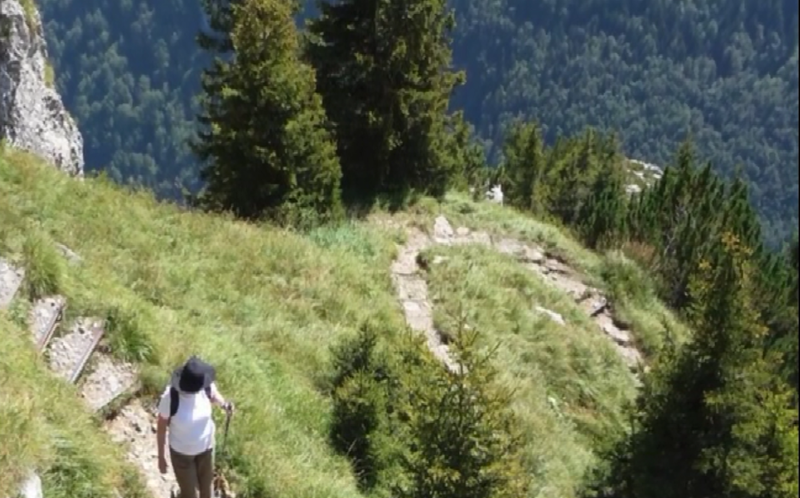 The beginning of the hike seemed like the usual Swiss trek. Around each corner we gained altitude, sometimes holding on to the security cable of the cliff, sometimes stumbling on loose rocks. The meandering path seemed like a slender river up in front of us with small rocks flowing (or tumbling) down. “Why are we on this hike?” we asked ourselves and the cows grazing below us. Neither we nor the cows had an answer. And then…. 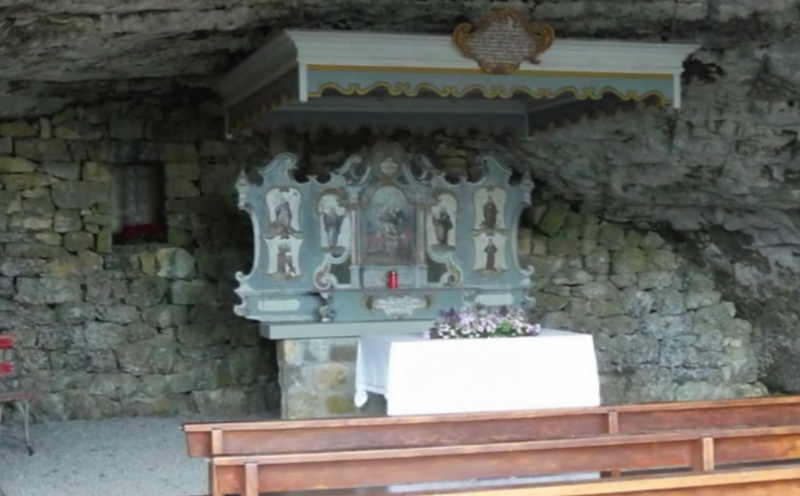 Around one corner was a chapel carved out of rock over 400 years ago. It served hermit monks from 1658-1853 as a place of worship, meditation and peace. The trickling water from the rocks served as the music and as refreshment from the heat of the sun. When we entered the cavern, we felt the psalmist’s, “great peace that never makes them stumble.” (Psalm 119:165) We were looking for a break from the tiring climb and found it in the calmness of the small, dark room. 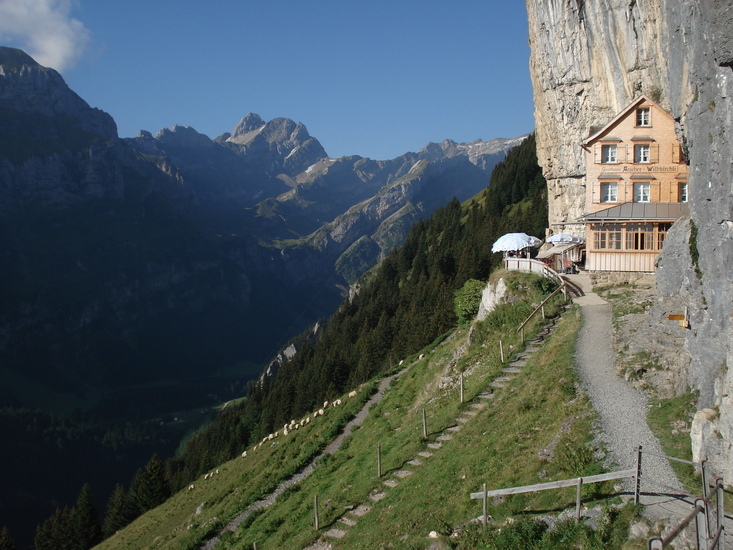 The monks used the cave for nearly 200 years and now today’s weary travelers find respite. Let the earth be silent. Let us all be silent. 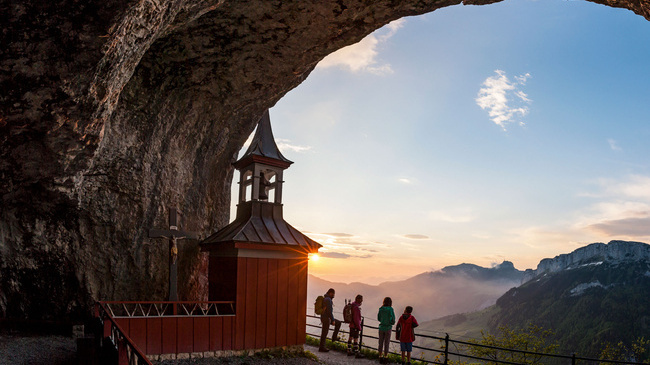 I thought of the monks’ and our worshiping our Savior in the small cave near Appenzell. Retired humanities teacher and inveterate student, Dian Leeper seeks new experiences, especially when traveling, to view the work of gifted artists and architects worldwide. Especially treasured are those times when humans have combined their talents with God’s creativity in outdoor spaces. She remains awed by diverse places of worship from cathedrals to caves.